Every year Sydney Eye Hospital Foundation funds a number of honorary positions within the Sydney Eye Hospital. 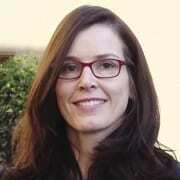 The Foundation pays the salary on the fellows for a period of 12 months while they work at the Sydney Eye Hospital. This is made possible thanks to the generous donations of our many supporters. If you are interested in becoming a Sydney Eye Hospital Fellow you can read about the available positions and application process on our Fellowships page. Dr. Steven Schendel completed his ophthalmology residency training in Vancouver, Canada in June of 2013. 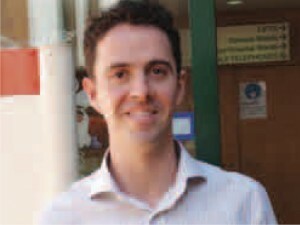 He relocated to Sydney in late July to begin his glaucoma fellowship training. He hopes to conduct research into minimally invasive glaucoma surgery while at the Sydney Eye Hospital, and gain further experience in the management of clinical and surgical glaucoma. He looks forward to exploring Sydney and Australia in the coming year. Dr Abhishek Kumar joined the vitreoretinal team in July 2013. He completed his residency in India and did 2 years vitreoretinal fellowship at Aravind Eye Hospital & PG Institute, Coimbatore. 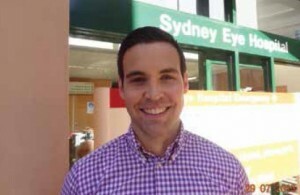 His goal is to become a proficient vitreoretinal surgeon and he believes that Sydney Eye Hospital will provide him with excellent opportunities to learn the most advanced management protocols for different eye conditions. After this fellowship he aspires to provide vitreoretinal services to the rural population of India. 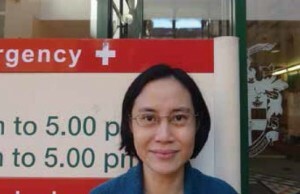 Dr U-Teng Chan is from Malaysia and she hopes to learn and enhance her clinical and surgical skills in Cornea at Sydney Eye Hospital and will return to Malaysia in June 2014 to continue working in the Corneal Unit. Dr Farhan Qureshi started as the Oculoplastic Fellow in the Sydney Eye Hospital in July 2013. He is from the UK and did his ophthalmology training in Liverpool after which he went on to an Oculoplastic Fellowship in Manchester. 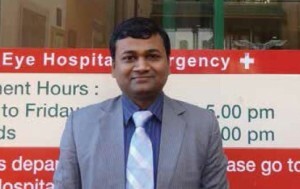 He is keen to experience healthcare in Australia and further his skills particularly in endonasal surgery whilst here. He will be returning to the UK to begin as Consultant Oculoplastic Surgeon in Wigan after his time here. 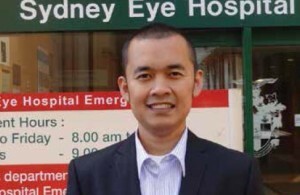 Coming from Indonesia, Dr Emil Sjahreza started his Vitreoretinal Fellowship at Sydney Eye Hospital in January 2013. His goal in this fellowship program is to gain as much skills and knowledge as possible from various consultants in the hospital. He will go back to his country to work as vitreoretina surgeon in Klinik Mata Nusantara, Jakarta. Dr Gustavo Reis completed his specialist registrar training in Brazil at the Santa Casa de Misericordia Hospital. He has also done a round year as a Glaucoma and Cataract Fellow with Prof. Felicio Silva, a recognised Glaucoma specialist in Brazil. Dr Reis expects to enhance his studies from the qualifi ed staff attached to the Glaucoma Unit of the Sydney Eye Hospital, improve his clinical and surgical skills and carry out some useful research and development. 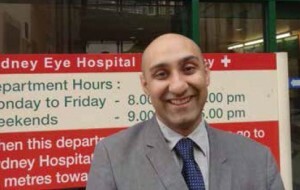 When not in surgery, Dr Reis supervises in the Outpatients Department providing patient care that has helped him to achieve a better knowledge of eye disease diagnoses and patient management.